What happens next? A Street Rat becomes a leader. A princess becomes a revolutionary. And readers will never look at the story of "Aladdin" in the same way again. 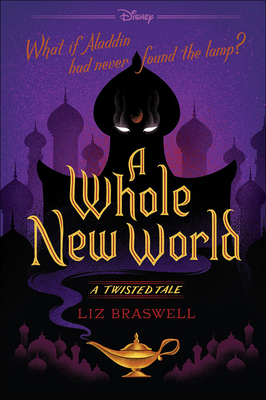 Praise for "A Whole New World"
"A magic carpet ride of a book A fun and unpredictable retelling of the classic Aladdin story, a must-read for all of us Disney fans " -Melissa de la Cruz. After the sort of introverted childhood you would expect from a writer, Liz earned a degree in Egyptology at Brown University and then promptly spent the next ten years producing video games. Finally she caved into fate and wrote "Snow "and "Rx" under the name Tracy Lynn, followed by "The Nine Lives of Chloe King" series under her real name, because by then the assassins hunting her were all dead. She lives in Brooklyn with a husband, two children, a cat, a part-time dog, three fish and five coffee trees she insists will start producing beans any day.